Ford is offering $500 off the F-150, along with the Focus sedan and Edge crossover. (Bloomberg) -- Nissan Motor Co. and Ford Motor Co. will offer $500 rebates on several car and truck models to boost sales over Memorial Day weekend. Nissan is offering a $500 discount Friday through Monday on most of its namesake brand vehicles. The brand's U.S. light-vehicle sales had risen 33 percent through April from a year earlier as the auto market recovered from sales rates that dropped to quarter-century lows last year. Increased incentives during the three-day weekend could propel industrywide sales in May to a seasonally adjusted rate of more than 11 million, said Himanshu Patel, a JPMorgan Chase & Co. analyst, this week in a research report. The sales rate hit 11.5 million units last month, compared with the 9.1-million-unit rate the industry saw at its lowest point, February 2009. Ford began offering rebates Thursday on the Ford Focus, Edge and F-150, in addition to existing discounts, spokesman Robert Parker said. The incentives also apply to the automaker's Lincoln MKS and MKZ sedans and MKT and MKX crossovers. The Ford brand's U.S. sales rose 36 percent through April, and Lincoln's increased 19 percent. Competitors including General Motors Co. and Toyota Motor Corp. haven't announced similar discounts. GM executives have said they are seeking to discipline incentives after the automaker's 2009 bankruptcy, while Toyota has fought its recent recall problems by boosting spiffs. Its U.S. incentives in March hit company-record levels of $2,743 per vehicle, according to consumer auto site Edmunds.com. Toyota backed off a bit in April -- but the $2,498 per vehicle was still 53 percent higher than incentives in April 2009. 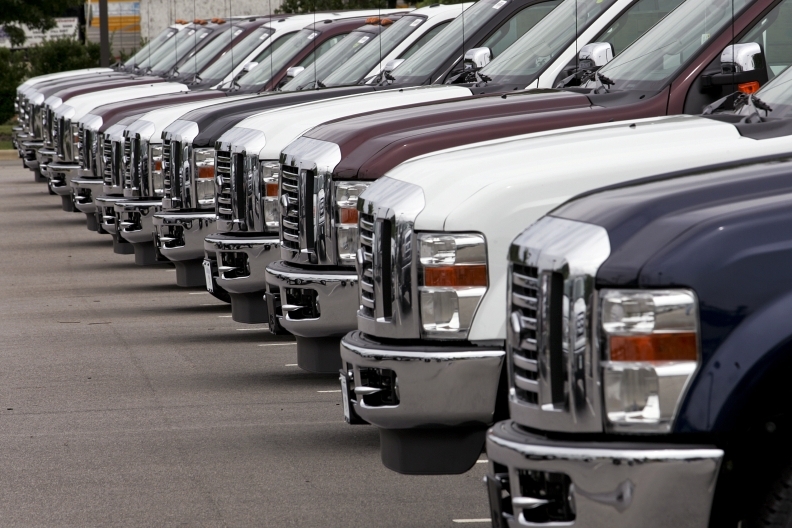 The industry averaged $2,654 off vehicles sold in April. Jesse Snyder contributed to this report.